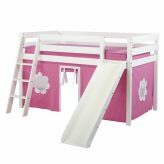 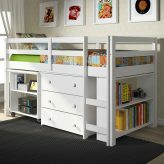 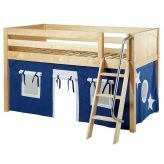 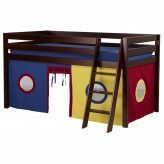 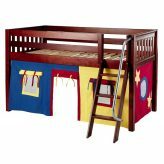 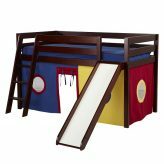 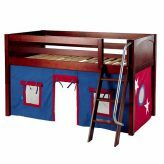 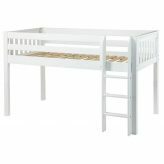 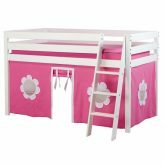 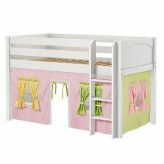 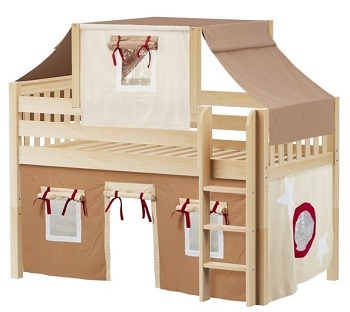 Looking for a junior loft bed for your younger child who wants to sleep elevated? 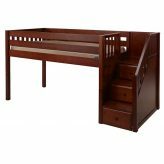 Consider one of our wooden low loft beds in various rich wood finishes with added safety features that every parent will love. 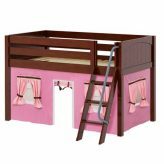 A junior loft is perfect for younger children but it can be used by anyone who needs to optimize room space. 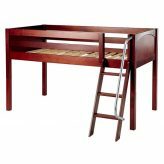 A low loft bed with storage is the perfect height for case goods to fit neatly under the bed freeing up the remainder of the room space. 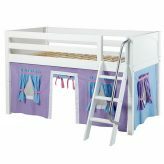 Or, don’t forget the play curtains and slides which bring an element of FUN to the any bedroom. 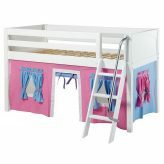 A low loft bed by Maxtrix has so many possibilities for reinvention. 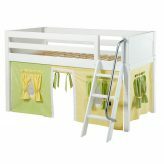 That low loft bed can be turned into a poster bed, a higher loft bed, or even bunk beds if need be. 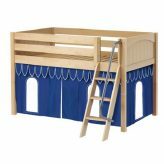 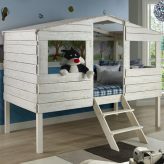 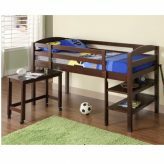 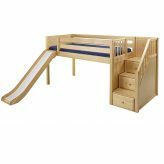 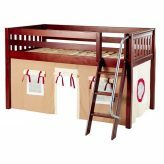 Delight your children with junior wooden low loft beds!